Conservancy helps promote, improve, develop, and defend Free, Libre, and Open Source Software (FLOSS) projects. Project Services : Conservancy acts as a financial steward for earmarked donations and intangible assets, as well as providing legal, event, and license compliance services. Software Freedom Conservancy, Inc. is a 501(c)(3) not-for-profit organization incorporated in New York. 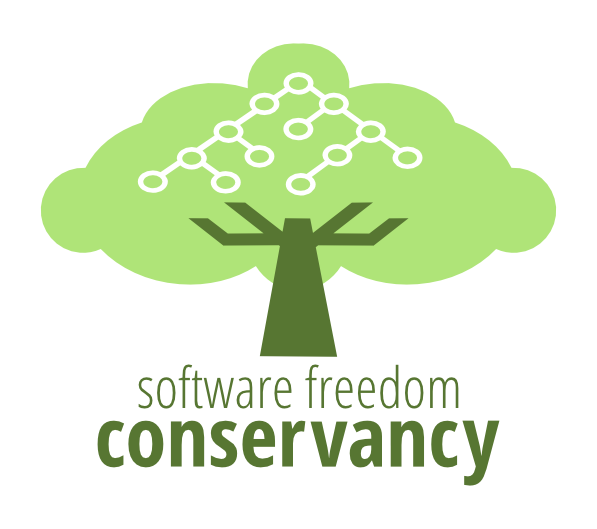 Software Freedom Conservancy helps promote, improve, develop, and defend Free, Libre, and Open Source Software (FLOSS) projects. Conservancy provides a non-profit home and infrastructure for FLOSS projects. This allows FLOSS developers to focus on what they do best — writing and improving FLOSS for the general public — while Conservancy takes care of the projects’ needs that do not relate directly to software development and documentation. Projects can apply to join Conservancy. Conservancy appreciates their many corporate sponsors.